The smallest and most intimate palace in the world! 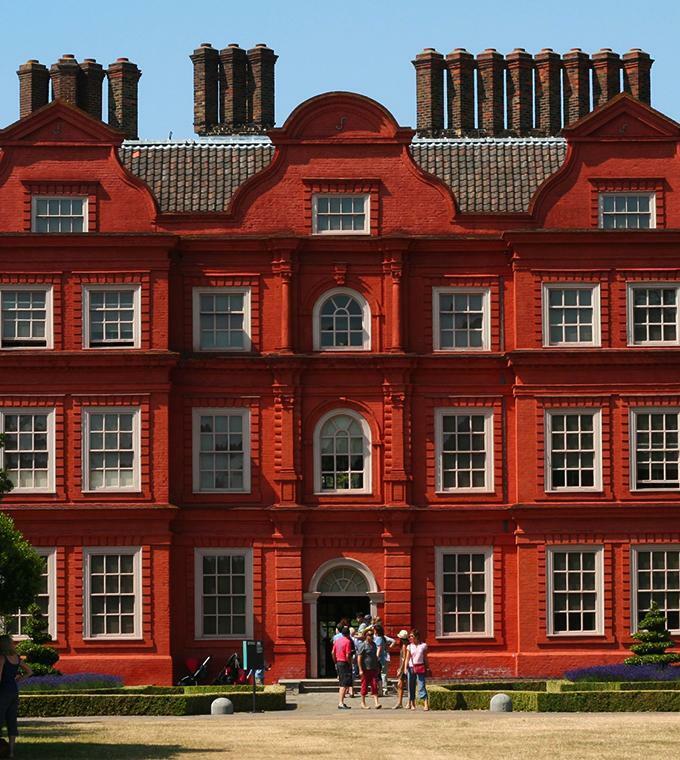 Kew Palace was home for a rich merchant in love until the arrival of the Georgian family and the ‘madness' of King George III. On the grounds you can also see Queen Charlotte’s cottage, built in 1771 for the Queen as a picnic retreat in a quiet part of Kew Gardens. Discover for yourself some of Kew’s sights and stories, whether you’re coming by to sightsee or just wanting to learn more about this beautiful palace and its history. • The Royal Kitchens at Kew: Having lain untouched since Queen Charlotte's death in 1818, you can now explore the Royal Kitchens at Kew for the very first time. • Madame Tussaud bust of George III: The amazing bust of George III is a reproduction taken from an original mould kept in Madame Tussauds’ archive. It’s astoundingly realistic. Why not see it for yourself and come face to face with a king! • Queens Charlotte's chair: During her final days Queen Charlotte found it difficult to lie down and was more comfortable in this chair. She eventually died while resting here on Tuesday 17 November, 1818. • People’s Library: At Kew’s interactive People's Library explore the history of the palace and its residents, using touch screens, handling collections and copies of rare and unpublished materials. • Queen Charlotte's Cottage: Discover our hidden gem, Queen Charlotte’s Cottage, nearby in Kew Gardens. This delightful cottage was the family’s rustic retreat and venue for informal picnics. • Princesses’ bedrooms: Princess Elizabeth decorated her bedroom in the latest style. Come and decide what you make of her interior design skills. View restored and unrestored rooms. Monday from 11 a.m. – 5 p.m.
Tuesday – Saturday from 10 a.m. – 5 p.m.